Hoda read this poem on Hoda and Kathie Lee! 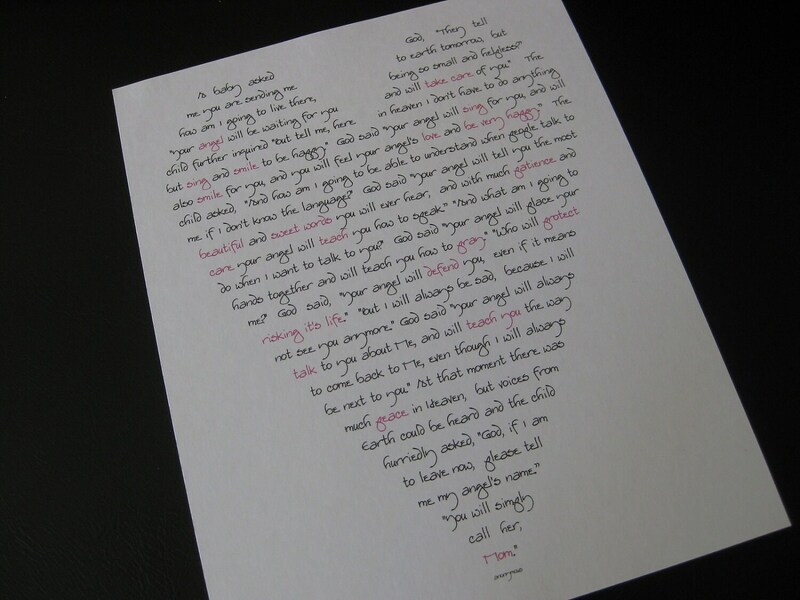 This MOM print, A baby asked God, created by us years ago, in our original design in the shape of a heart, is the perfect gift for new moms, baby dedications, baby showers, and birthday or shower gifts! 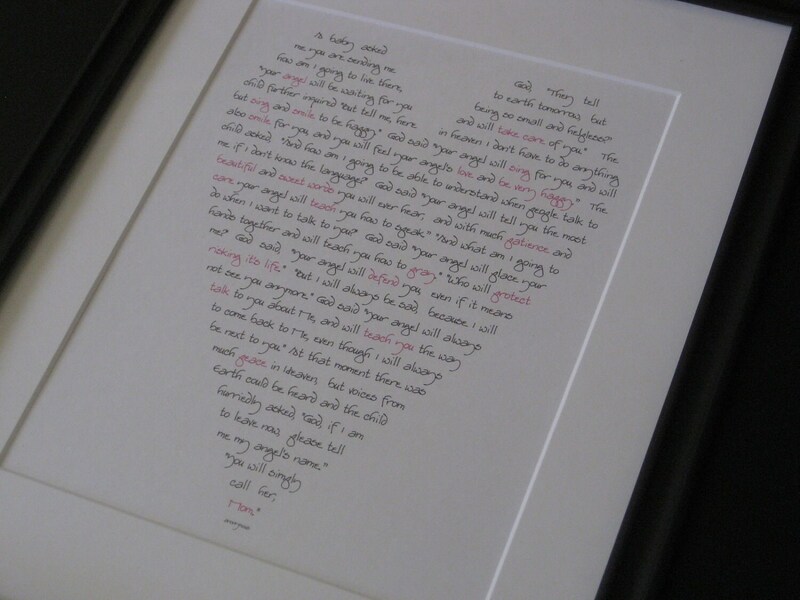 "Such an amazing piece of art, I bought this and framed it for my sisters baby shower. We both shed a tear as we read it together, such a special poem. 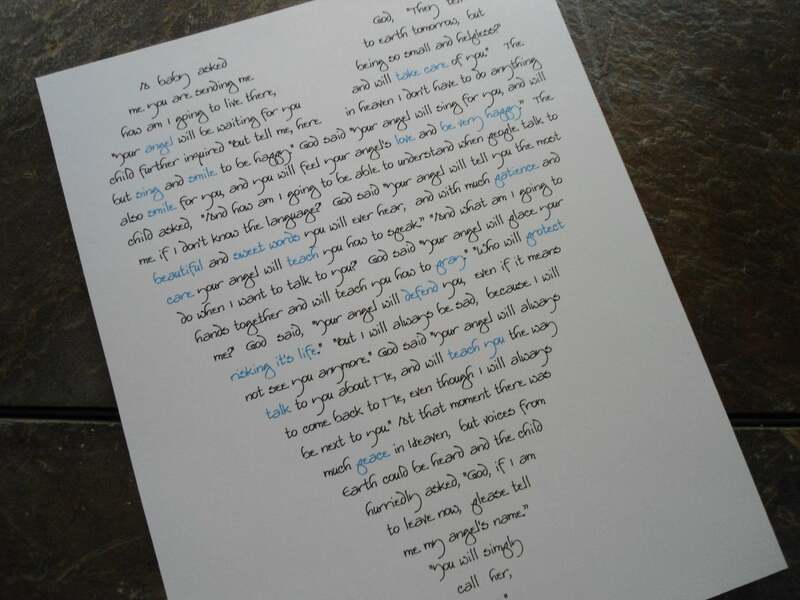 <3 " feedback from the latest customer who purchased this. I made one first for my daughter who was expecting, and she cried when I gave it to her. 5 years ago...This is similar to my other 8 x 10 prints I've formatted in the shape of a heart, with words from the popular quote that starts with "A baby asked God... " and ends with "you will simply call her 'Mom' " My exclusive designer prints are perfect for one of a kind gifts for special life events. 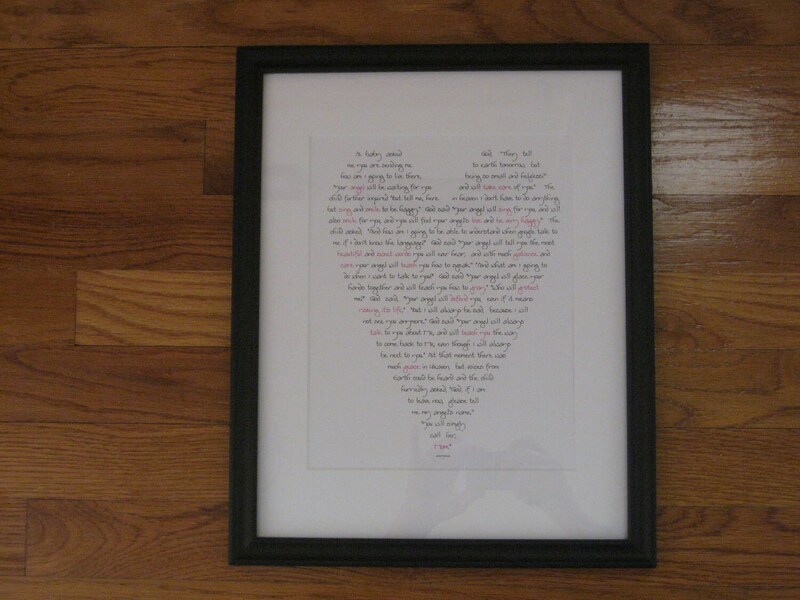 This would make a sweet adoption gift or mom-to-be or new mom gift. These are now available with highlighted words in blue (photos 1, 5) for baby boys, and highlighted words in pink (photos 2,3,4) for baby girls....Please note: this listing, at $25.20, is for the text already formatted by me, this quote about mothers. (this is not for a different quote that you would like in a heart shape-it is only for the one shown). Your print will be on heavy white 8" x 10" 110# premium cardstock; I've formatted the text and printed it in my signature font. Zoom in to see the details. NOTE: This is an exclusive BeachHouseDreamsHome design (including all of my 5 x 7 and 8 x 10 prints with customized words around the central image), the heart, "dad", "mom" "friend" and "home" designs. You may not copy or reproduce this design without my permission. Please respect my original designs. Loved the words and it is so pretty. Thank you! Received in time! Perfect for my daughter's baby shower! 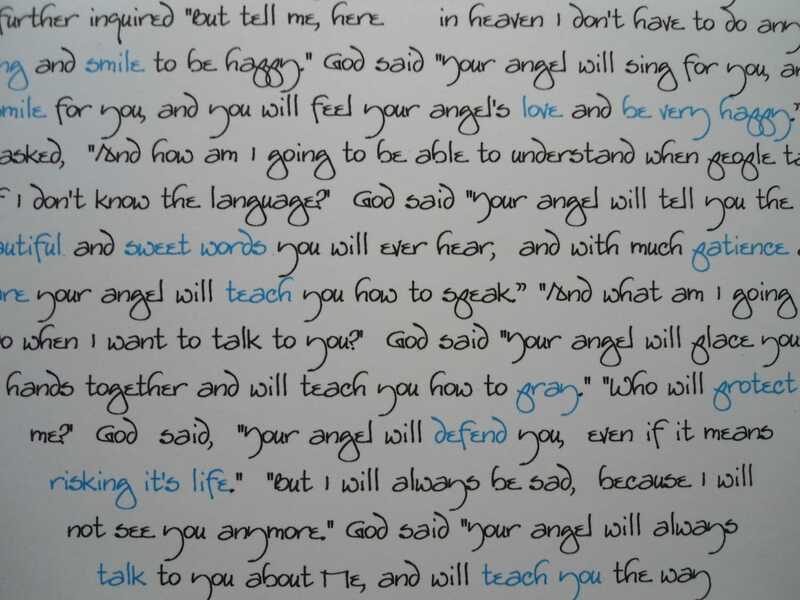 Difficult to read without becoming teary eyed! Beautiful! Even more beautiful framed! Thank you for getting to me timely. God bless!